In issue #1912 of Ming Pao Weekly, the feature report was a project by the Society for Community Organization to allow 300 Hong Kong secondary school students to experience poverty for the first time in their lives. The students were matched with a younger child from a poorer family, and they were supposed to write about their contact processes and reactions. For example, one boy said, "I have my own room. I have my own computer. I thought that this was a natural state for things." After going through the experience, he realized that getting a computer is no trivial matter. Whereas he was used to upgrading to a new model every few years, poor children don't have any computers. As part of the assignment, the students were supposed to ask what their contacts for three wishes. This student expected the contact to list some materialistic goals. Instead, wish #1: "My mom gets better from her illness." Wish #2: "My mom gets better from her illness." Wish #3: "My mom gets better from her illness." And the mother was not even suffering from a major illness. The boy took the girl to a toystore and asked her, "Do you want toys?" The girl said, "My life is pretty good already." When the student went back home, he began to think about how spoiled he has been; if his mother so much as asked him to do anything, he had been irritated. This is an anecdotal example, but the implications of resource limitations on expectations and aspirations are obvious. I believe an exercise such as this one goes some way towards reducing the social gap. The social gap exists because of the wealth gap, and reducing the social gap will create the impetus to seek political solutions to reducing the wealth gap. This leads to my current reading. 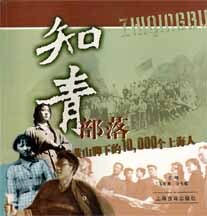 This is a book titled The Tribe of Educated Youth: The 10,000 Shanghainese at the Bottom of Yellow Mountain. 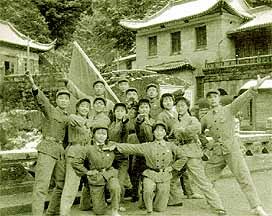 On December 22, 1968, the People's Daily published Chairman Mao's "latest directive": "It is imperative that educated youth should go to the rural villages and be educated by the poor and middle peasants." 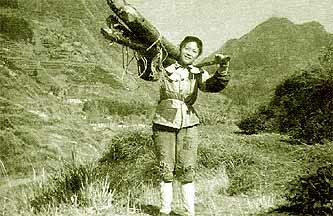 This meant that millions of secondary school graduates were shipped off to the countryside. 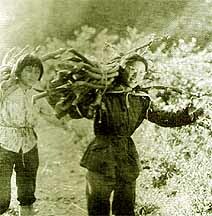 Among these were 10,000 Shanghai students who went to work in the tea fields at the bottom of Huangshan (Yellow Mountain). Under one interpretation, this exercise was a horrendous waste of resources and lives. The best years of the lives of young people were wasted in low-productive manual labor when they could have contributed so much more if they had been allowed to stay in the cities. The other interpretation is that this experience made the students acutely aware of the problems that are faced by the rural residents, who constituted the majority of the Chinese population. This books contains photographs selected from the more than 4,000 that were contributed by those who had been there. 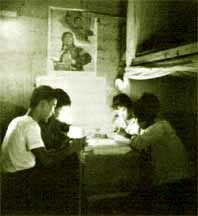 In the Hong Kong project, the students always knew that at the end of the day, they would end up in their own homes. 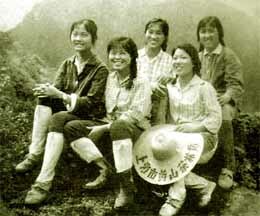 Back then, when the Shanghai students were sent off to the countryside, there is no guarantee that they will ever return. Here are some of the photographs scanned from the book. Since the subjects were posing for the camera, they were necessarily smiling. What were they actually thinking or feeling? The book does give a great deal of description about the hardships, but it is lacking in subjective reflections. 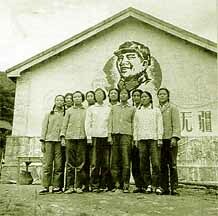 And had this experience changed their ties and empathies with the rural peasants? The following is a photograph from a recent reunion. Today, these are middle-aged Shanghai residents occupying different social positions. What has that experience done to them? Again, the book does not delve into those aspects. In many regards, the book is a group biography (such as the history of a university or corporation) and there was no reason to get into issues for which group members may still harbor great differences in opinions. The project of sending educated youth into the countryside was perhaps the grandest one in scale in the history of mankind. 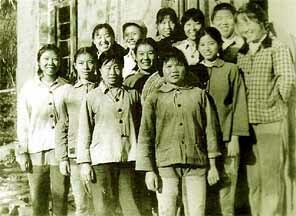 From Shanghai alone, 1.1 million students went all over the country. But what did it actually achieve? I have not found any definitive answer. As I explained, this book is a group biography that does not treat this macro-level issue. There may be other anecdotal personal biographies about experiences in the countryside, but they do not address the macro-level impact. There are also macro-level economic impact, but they don't deal with the social transformation and its lingering effects (if any). 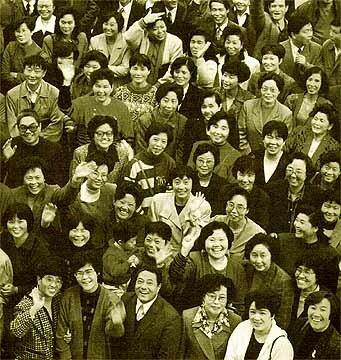 By comparison, I have much better understanding of how June 4 1989 affected that generation in Hong Kong, or how the Vietnam War affected the American baby boomers, or how the Diaoyutai Islets protests affected the Chinese students in the United States. What about today's China? What about the social gap? Do the urban dwellers care about what happens in the countryside? Do they care more or less than their predecessors who were sent down to the countryside? 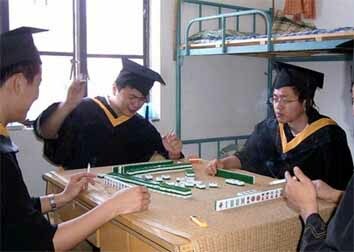 I don't know the answer, but I will borrow a photograph of some recent university graduates for illustrative 'comical' effect (note: this photo appeared in a random Internet collection, and I take it to be a humorous prank). Is this close to social reality today?